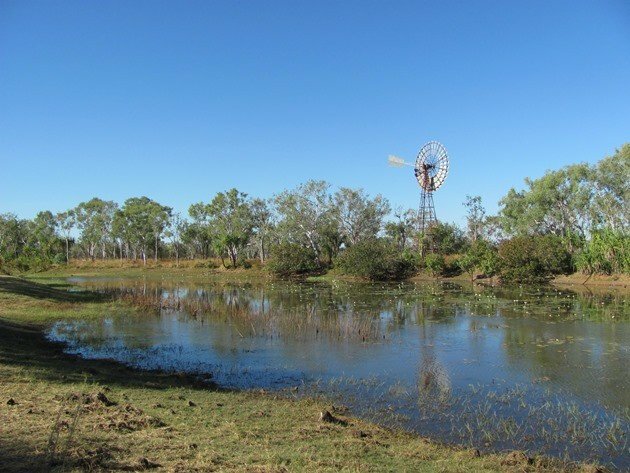 One of our favourite National Parks in the Northern Territory is just over the border when you leave Western Australia and it is not only a beautiful area with its geological formations, but also offers great birding. You can camp in the park, so you can explore the area at different times of day and observe the varying wildlife. It had been almost two years since we camped at Keep River National Park and because it is positioned just over the border we could camp there for a few nights before we took ourselves down the remote Duncan Road. 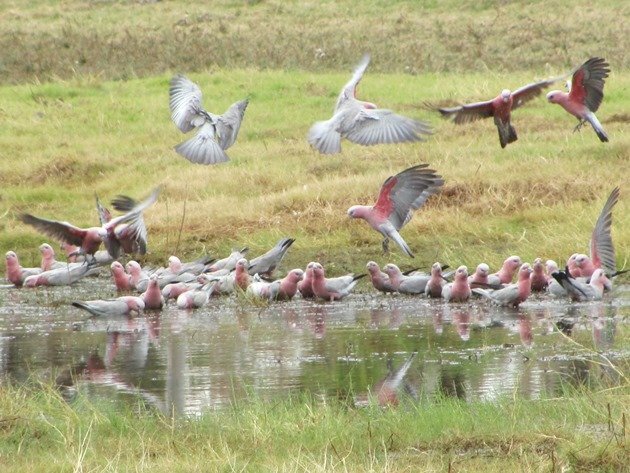 We had made a detour into Cockatoo Lagoon late last year and it was our first visit at that time of year for many years. Cockatoo Lagoon is near the entrance to the National Park, so even with limited time and without a four-wheel drive you could visit the lagoon due to the good condition of the gravel road. We arrived on the first day to beautiful blue skies, which are typical at this time of year and the birdlife was excellent as usual. 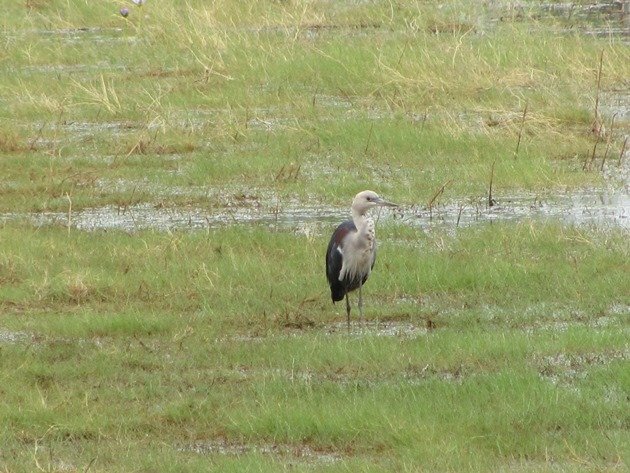 It was quite late in the afternoon and there were numerous birds along the edges of the lagoon including Straw-necked Ibis, Torresian Crows, Peaceful Doves and Brolga. On the water were Pacific Black Ducks, Grey Teal and Paperbark Flycatchers flitted out to the lilies to drink. We wandered across the rocks to the grassed edge and observed Rainbow Bee-eaters, Rufous Whistler, White-gaped Honeyeaters, Blue-faced Honeyeaters and White-throated Honeyeaters. The heavy bushes were popular with Double-barred Finches and Crimson Finches. Keeping to the edge of the lagoon we soon encountered an Eastern Great Egret, Intermediate Egret, White-faced Herons and White-necked Herons. 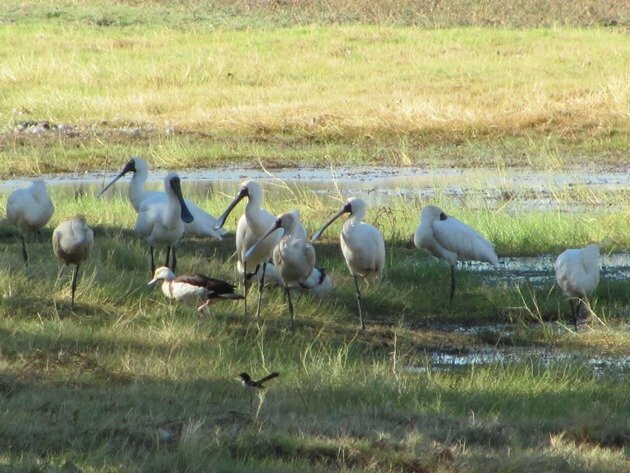 At the far end of the lagoon there were eleven Royal Spoonbill in the shade and there were Radjah Shelducks and Willie Wagtails nearby. 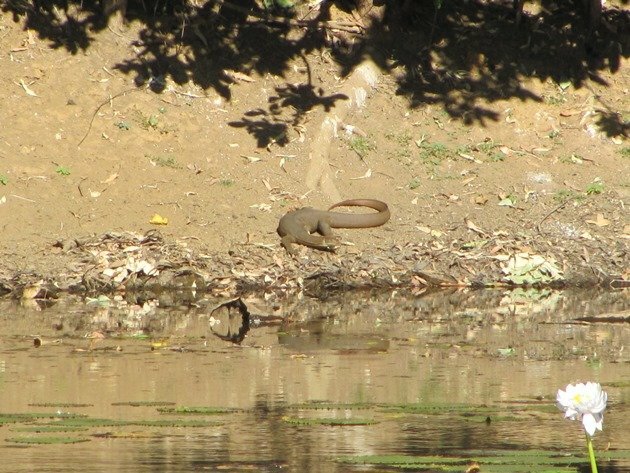 It was a hot afternoon and even a water monitor decided to come down to the water’s edge and have a swim. 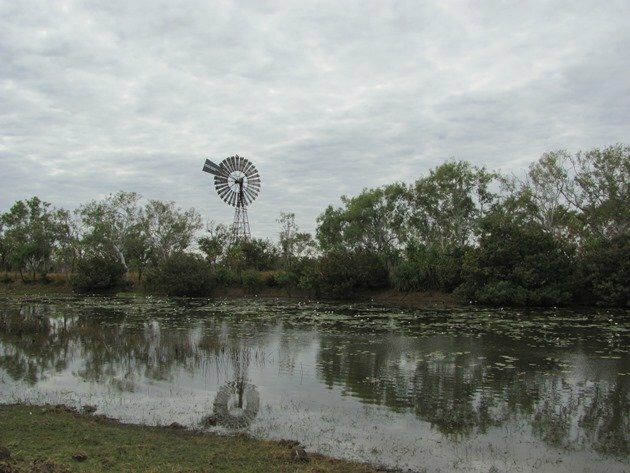 There was plenty of water and although the level would drop over coming months it should be sustainable until the first wet season rains later this year. Our next visit to the lagoon was two mornings later and the weather was completely different. We had not been within phone or internet range for a few days and had no idea we were about to go under heavy cloud cover. It was not cold, but the view was completely different as we entered the lagoon. The bird-life is always different at different times of day, but also the weather can make a difference to what you may observe. 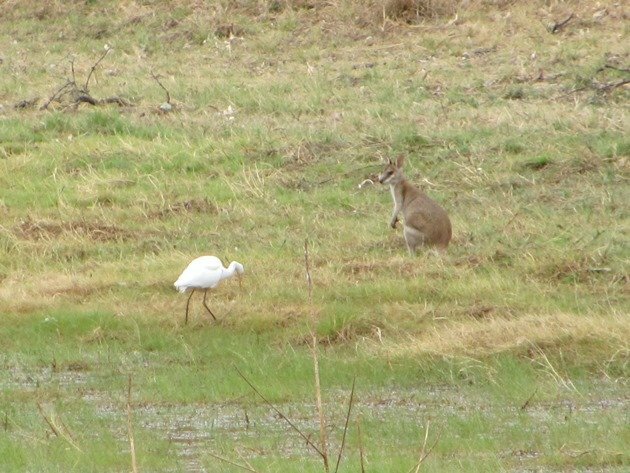 An Agile Wallaby was close to the water with an Intermediate Egret and a small flock of twenty two Cockatiels came down for a drink. Cockatiel are incredibly cautious drinkers and only spend seconds at the water’s edge. The Royal Spoonbills were still present, but no longer in the shade of the trees. They were wandering around the edge of the lagoon and joined by Red-tailed Black Cockatoos coming in for a drink. 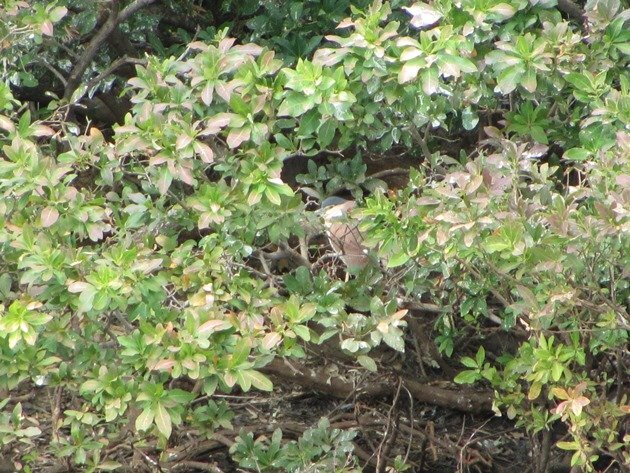 The Nankeen Night-Herons were more obvious on the far bank and there were six visible, but there could easily have been more hidden. More ducks were present and there were now Hardheads, Plumed Whistling Ducks and also an Australasian Darter. There was an increase in raptors and we observed a Wedge-tailed Eagle, Whistling Kites, Black Kites, Black-breasted Buzzard and an Australian Hobby. White-throated Gerygones sang out and Rainbow Lorikeets screamed across the sky. 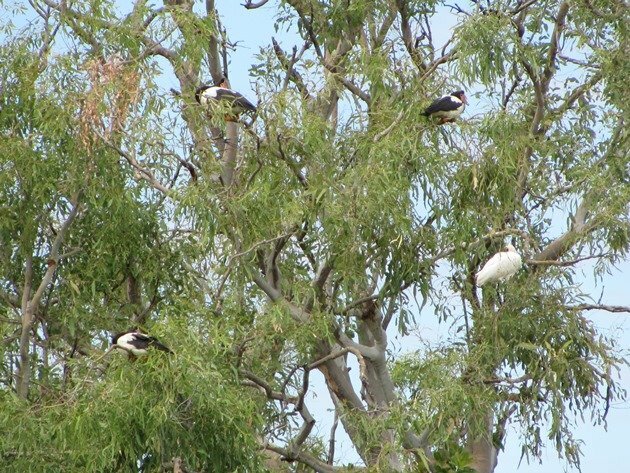 The Magpie Geese had chosen to roost high in the trees alongside a Royal Spoonbill and a Little Pied Cormorant had chosen a lower roost. It was quite a peaceful morning after the Blue-winged Kookaburras had finished communicating with each other and then suddenly a huge commotion. 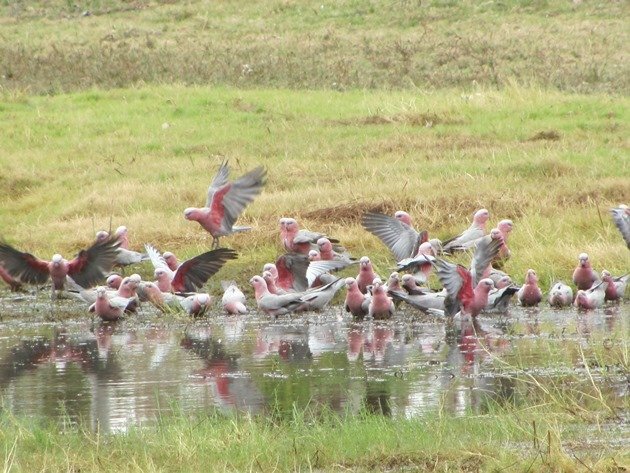 A huge flock of Galahs had decided it was time to head to the lagoon for a drink and after a few minutes perched in a tree close to the lagoon they all dropped down. 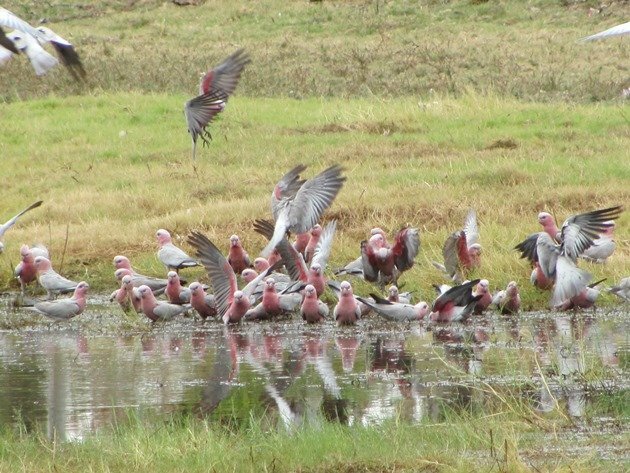 Galah chaos as they come in and drink! Cockatoo Lagoon is a great place to visit at any time of year and whatever the weather! 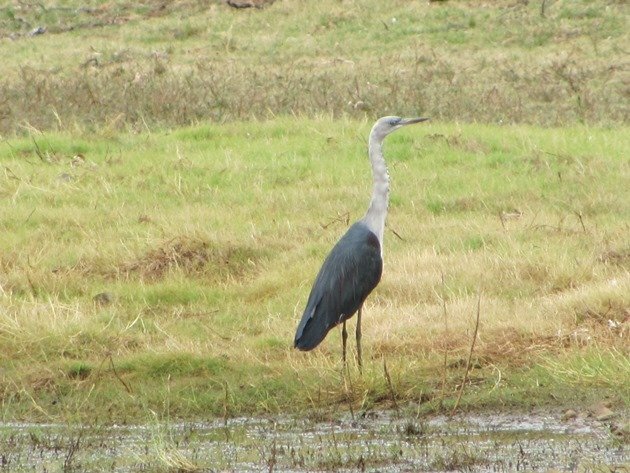 You can expect to find between forty and fifty species of birds in about an hour depending on the time of day. It is one of those places that you just have to visit when you are just over the border into the Northern Territory from Western Australia. Beyond the lagoon the rocky outcrops are excellent places for the White-quilled Rock-Pigeon if you were unable to find it in the Hidden Valley National Park in Kununurra! Wow, what extraordinary birds! 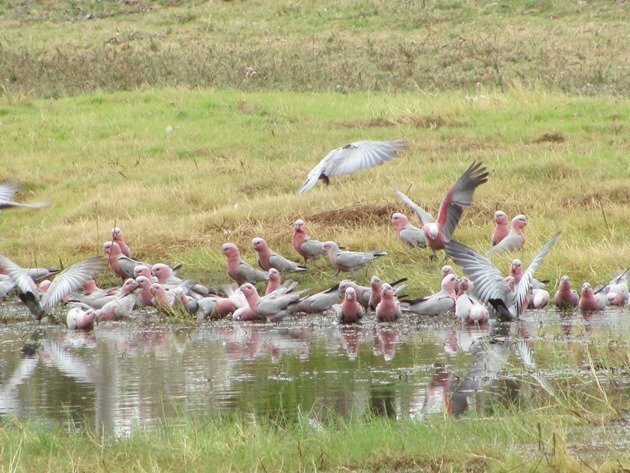 I guess it should be renamed Galah Lagoon? Love the colorful shots of the Galah chaos! I will put this place on my wish list. Thanks for sharing your travels with us, Clare. I would love to hang out at that lagoon!